“Allegiance: The Broadway Musical on the Big Screen” will be shown at selected theaters nationwide on Thursday, Dec. 7, at 7:30 p.m. 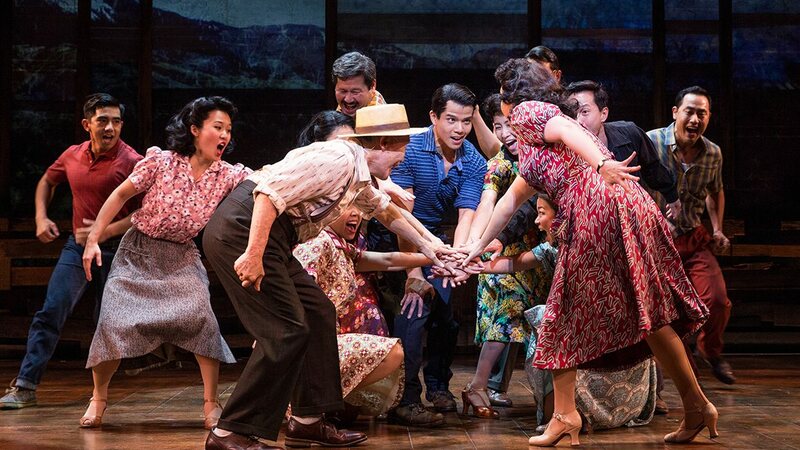 Inspired by the true life of its star, George Takei (“Star Trek”), “Allegiance” returns to cinemas telling the story of one family’s extraordinary journey in a troubling time for the nation. A mysterious envelope leads Sam Kimura (Takei) back 60 years to a time when he (played as a young man by Telly Leung, “Glee”) and his sister Kei (Tony Award winner Lea Salonga, “Miss Saigon”) strive to save their family from the wrongful imprisonment of Japanese Americans during World War II. Sam enlists in the Army to prove his family’s loyalty, while Kei joins the draft resisters fighting for the rights of their people. Their paths take them from the lush farmlands of California to the wastelands of Wyoming to the battlefields of Europe, and their divided loyalties threaten to tear them apart forever. But as long-lost memories are relived and a new perspective is gained, Sam finds that it is never too late to forgive and experience the redemptive power of love. The cast also includes Katie Rose Clark as Hannah Campbell, Michael K. Lee as Frankie Suzuki, Christopheren Nomura as Tatsuo Kimura, and Greg Watanabe as Mike Masaoka. Fathom Events previously showed “Allegiance” on Dec. 7 last year, the 75th anniversary of Pearl Harbor, and Feb. 19 this year, the 75th anniversary of Executive Order 9066. This screening will include exclusive footage from a special event in Hawaii and never-before-seen cast interviews and footage. To find a theater in your area, visit www.fathomevents.com.